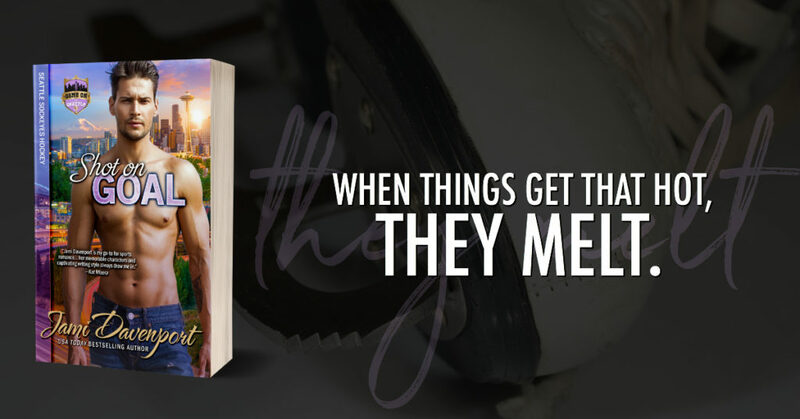 Release Blitz w/Review - Shot On Goal - Kitty's Book Spot! When you're at the top, there's nowhere to go but down. Two talented skaters. Two bright futures. Two shining stars. One ruined by a career-ending scandal and another by a father's ruthless ambition. She was the darling of the winter games, winning a bronze in pairs figure skating one week after losing both parents in a car accident. He was the future of the Sockeyes hockey team crowned the best young player in the league and heir-apparent to the hockey throne once occupied by his father. Together they're fire and ice, and when things get that hot, they melt. Can these two broken souls find comfort and courage in each other's arms or will they find only pain and regret? Jami lives on a small farm near Puget Sound with her Green Beret-turned-plumber husband, a Newfoundland cross with a tennis ball fetish, a prince disguised as an orange tabby cat, and an opinionated Hanoverian mare. Jami works in IT for her day job and is a former high school business teacher. She’s a lifetime Seahawks and Mariners fan and is waiting for the day professional hockey comes to Seattle. An avid boater, Jami has spent countless hours in the San Juan Islands, a common setting in her books. In her opinion, it’s the most beautiful place on earth.